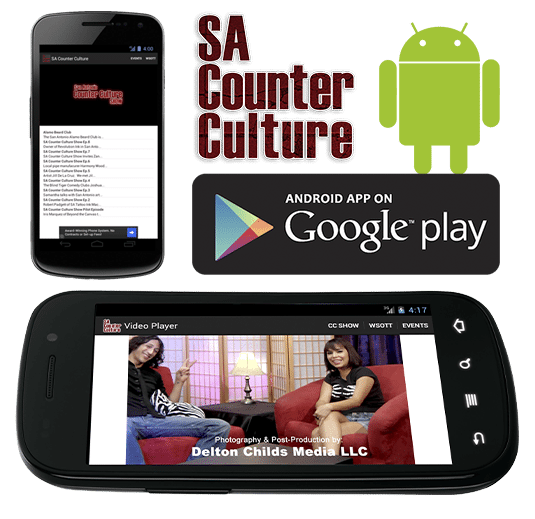 I’m happy to announce the launch of my first android application available on the aneroid market, The San Antonio Counter Culture App. Not breaking character for one section, this application is video based, to go along with all the profession video production I’m already doing. This app highlights San Antonio Counter Culture and the series of videos that have been produced for the San Antonio Based Alternative News Events and Info website. The application was coded in the Java programming language using the Eclipse Android Developer Tools which I have been working with for just over a year now. It has been a very long haul getting to the point where I am able to create an application that can deliver value and functionality.